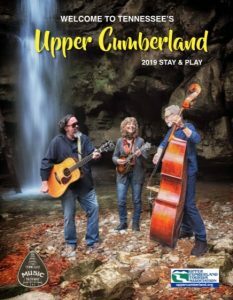 You’ve packed towels, life jackets, bathing suits, fishing gear, food, paper supplies, phone charger, a great summer book, toiletries…. But one of the most important supplies you need to remember is BRING SUNSCREEN! – And, of course, if you run out or forget, you can pick up Sunscreen in the Marina Store. 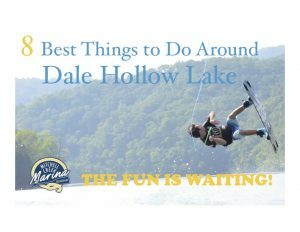 And there are some important things you need to know to make sure that your fun in the sun at Dale Hollow isn’t changed by too much sunshine. The first is to understand that not all sunscreens are created equal! There are two types of sunrays, UVA an UVB. Both can be harmful but sunscreens vary in which types of rays they help protect against. UVA are rays are the longer rays that cause skin damage, aging and some cancers. UVB are shorter rays that cause sunburns, skin damage and some cancers. You want to select a broad spectrum sunscreen that helps with both UVA and UVB protections. The second issue is SPF. Sunscreens come in various ratings for SPF. Your skin will begin to turn pink/red within 20 minutes of exposure to the sun. Sunscreens that have ratings of at least 15 SPF are supposed to be able to protect you for an additional 15 times. Of course, this assumes that you are not wet or sweaty. A rating of 15 SPF should block 93% of the UBV light. 30 SPF blocks 97% and 50 SPF blocks 98% of UBV light. It also takes time for your cells to absorb the sunscreen to provide any protections. You should always plan to apply sunscreen 20 minutes BEFORE you expect to be in the sun. And you should reapply sunscreen every 20 minutes after the first application or after getting wet. The amount of sunscreen you use should be about 1 oz for each application. That is the equivalent of about a shot glass of sunscreen for each person for each application. Many studies of sunscreen use indicate that most people use only about 25% of the quantity needed to actually protect them. And make sure that you apply sunscreen to the “forgotten spots”! These include the tops of your feet, back of your neck, behind your ears and along the part in your scalp. A word about babies. Under 6 months old, babies sensitive skin can react badly to both the chemicals of sunscreen AND the sun exposure.